You are here: Home / Shop All / Men's/Unisex / Help! I think this guy is dead! 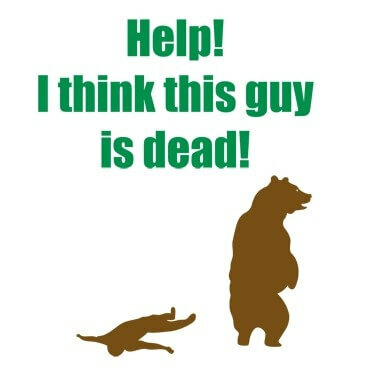 Worried bear yelling, “Help! I think this guy is dead!” is available as a t-shirt at SnorgTees in Unisex/Men’s Sizes Small to 3X Large and Women’s Style in Sizes Small to X Large.